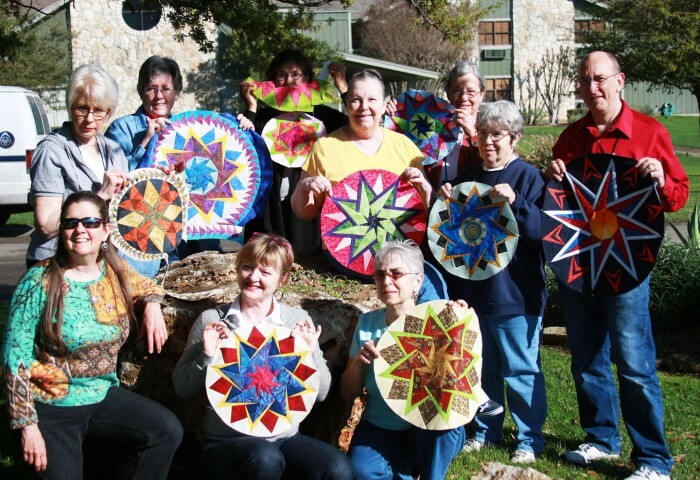 Speaking of the San Antonio Area, did you know that I will be teaching a five-day workshop for Quilting Adventures in Kerrville, TX, March 3-8, 2013? I firmly believe that students learn and retain much more when they take a multi-day class because the information can be presented more slowly at a rate where it can be absorbed. In addition, students make really good progress toward the completion of their own original design. Above are two works in progress from the class. Because students have ample sewing time and can sew all day and all night, if desired, with all meals dished up by the resort (fantastic food! ), they get a lot done! 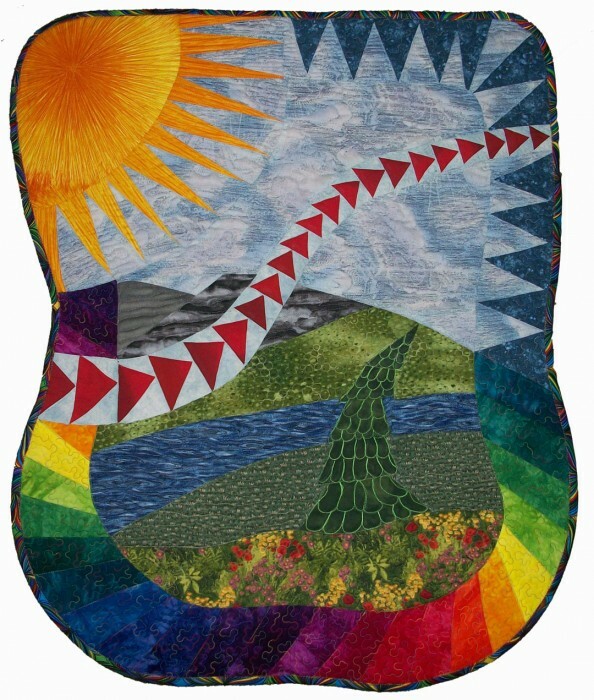 Janice designed and stitched this whimsical quilt for her husband, Harry, to whom she has been married for 40 years! I love it! And, Janice stitched this one up using the techniques taught in class. It was for her daughter, who is a “cupcake”. Are you interested in joining me in the Hill Country in March 2013? I would love to spend a few days with you. 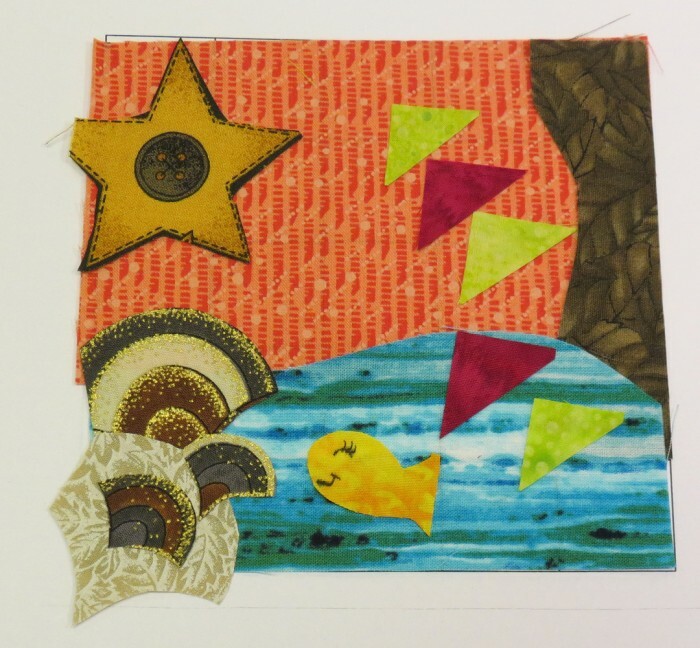 Contact Quilting Adventures. 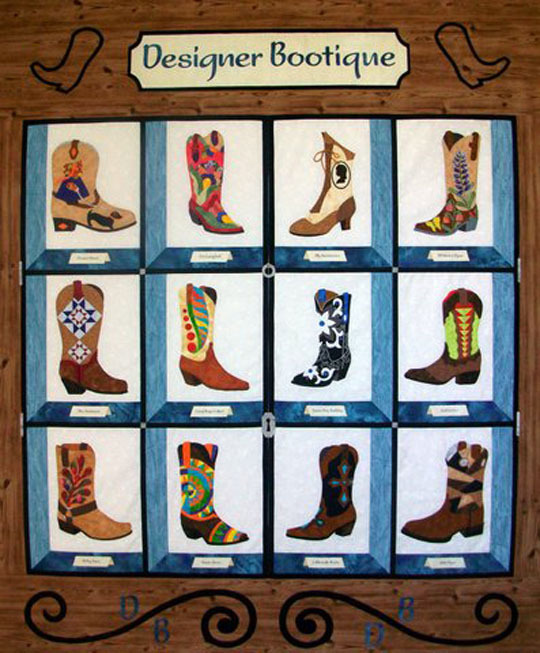 Only in Texas, a Designer Bootique! The pattern for “Designer Bootique” will be available in November through the shop and also can be ordered directly from Holly Nelson! I just love the creativity in this one! 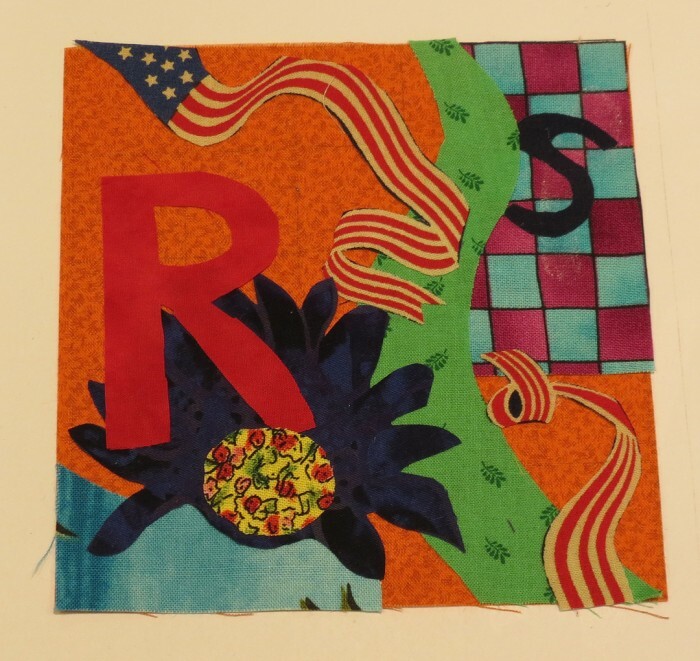 Here’s another great student quilt! 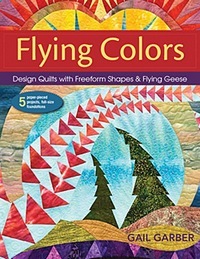 I’ll Fly Away was designed by Karen Thornton of Tyler, TX. She took my one-day class in mid-September and, less than one month later, this was the result. 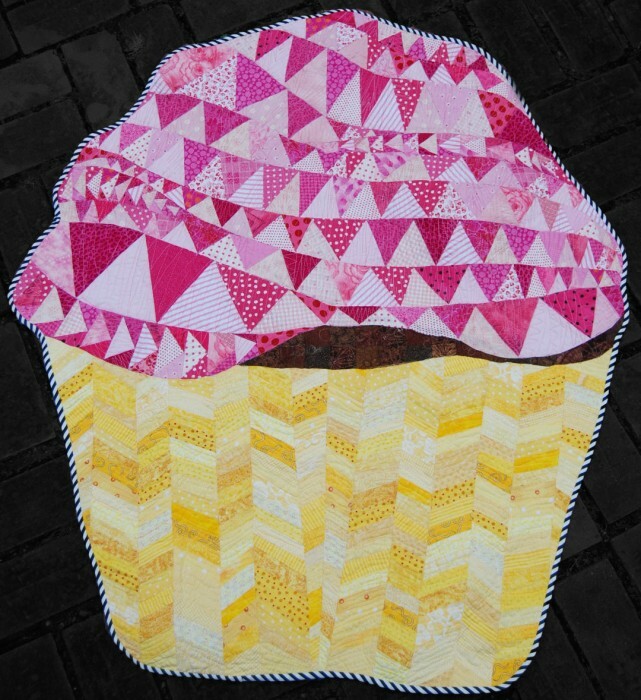 Great quilt, Karen! 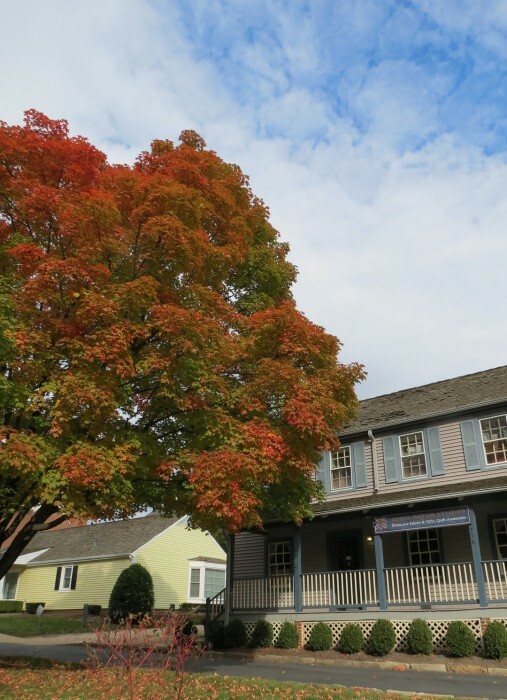 One of the highlights of my recent trip to Virginia was a Sunday morning visit to Jinny Beyer’s Studio in Great Falls, Virginia. The visit was possible thanks to Diane Kirkhart, my hostess, who works at the studio. My new friends, Diane and Betty Osweiler, welcomed me to the studio. 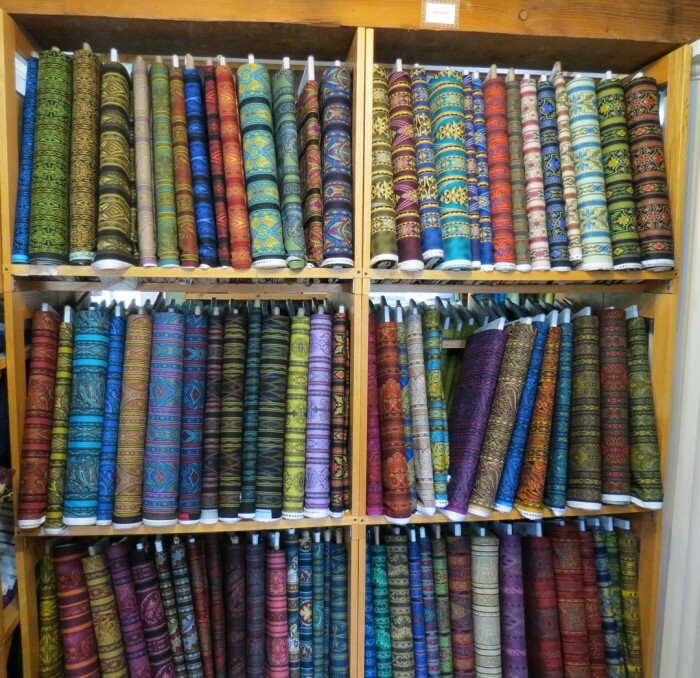 The interior of the shop is filled with special treats and ALL of the fabric is Jinny’s line of fabrics produced by RJR Fabrics. So I as thrilled to see . 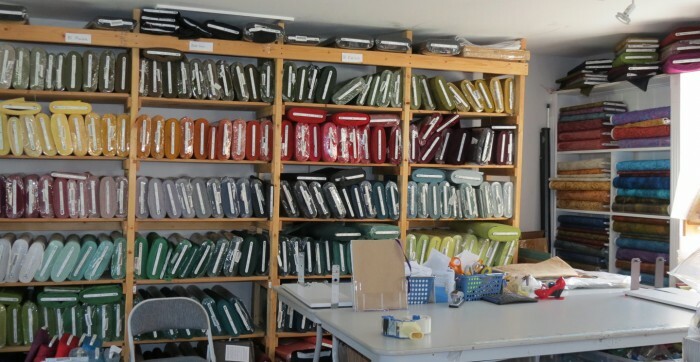 . .
Another whole wall of border prints! Everything you could ever ask for in borders! “DaVinci”, one of Jinny’s patterns. 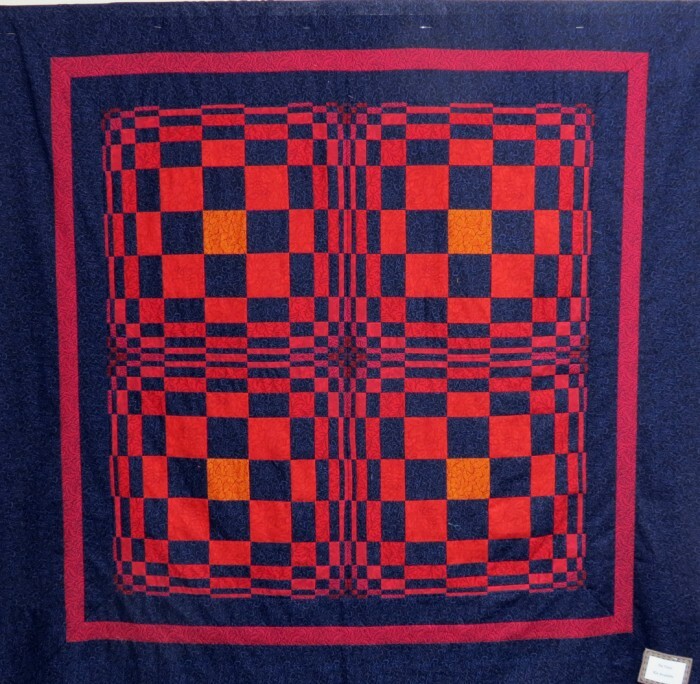 A wide variety of finished quilts and quilt tops graced the walls of the old building. 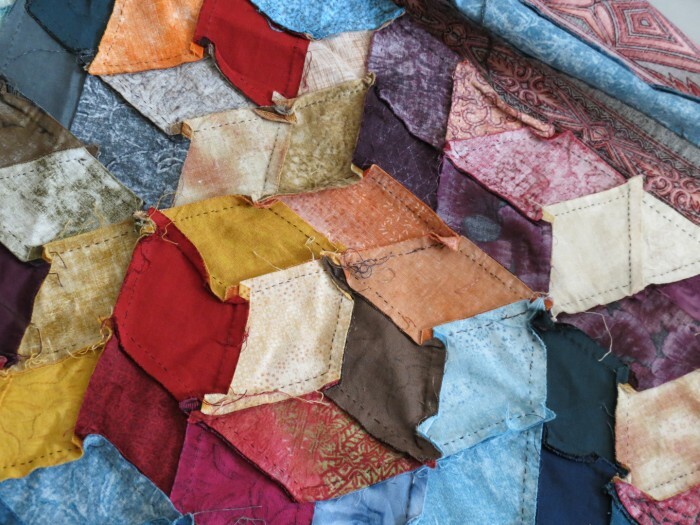 In addition to the quilts, fabrics and notions, Jinny carries some of her favorite gift items, like hand made wooden boxes with beautiful inlaid quilt patterns, exquisite embroidery scissors, and other trinkets that she hand selects. 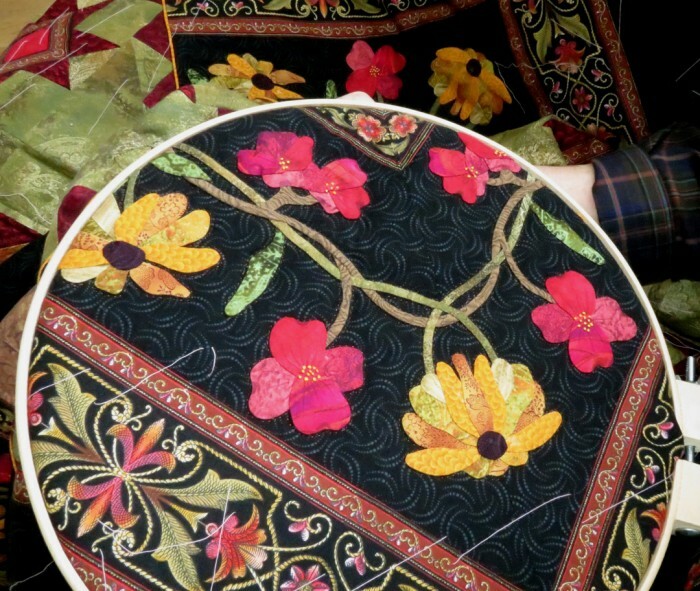 Diane showed me several quilt tops in progress, including this one that is hand stitched by Jinny. Here’s the front of the quilt top that Jinny hand stitched. 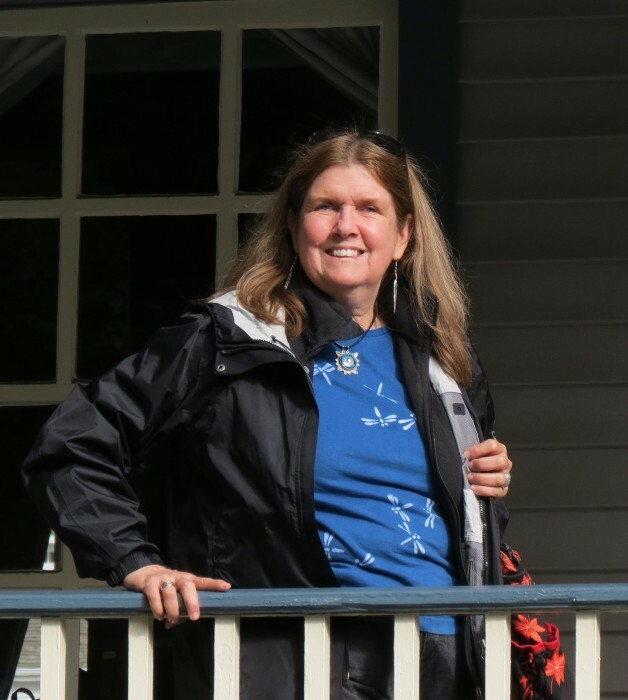 Many thanks to Diane for making this visit possible! 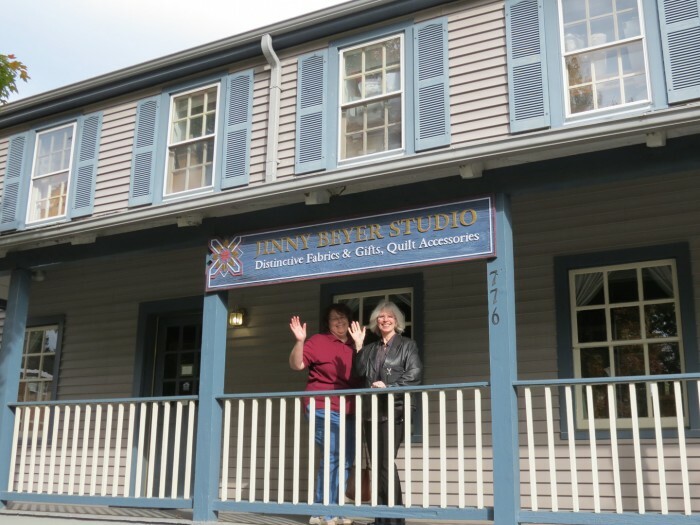 Next time you are in the Washington, DC area, be sure to make the Jinny Beyer Studio a destination! 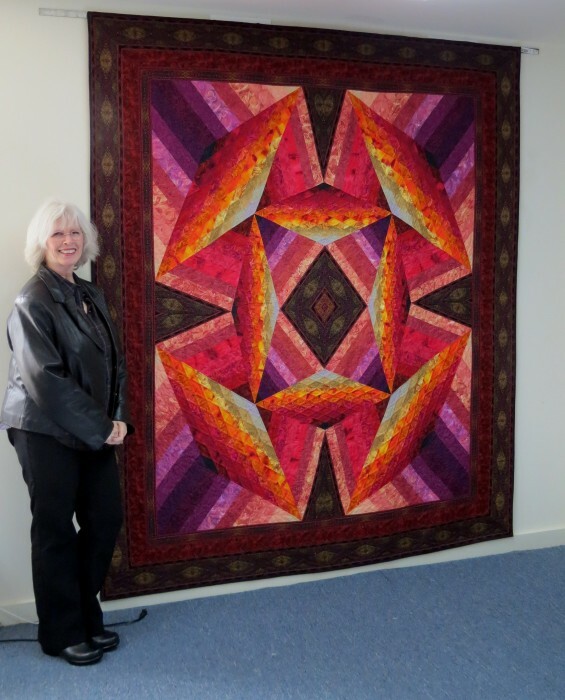 Diane with the “Summer Lily” quilt that she made from one of Jinny Beyer’s patterns. 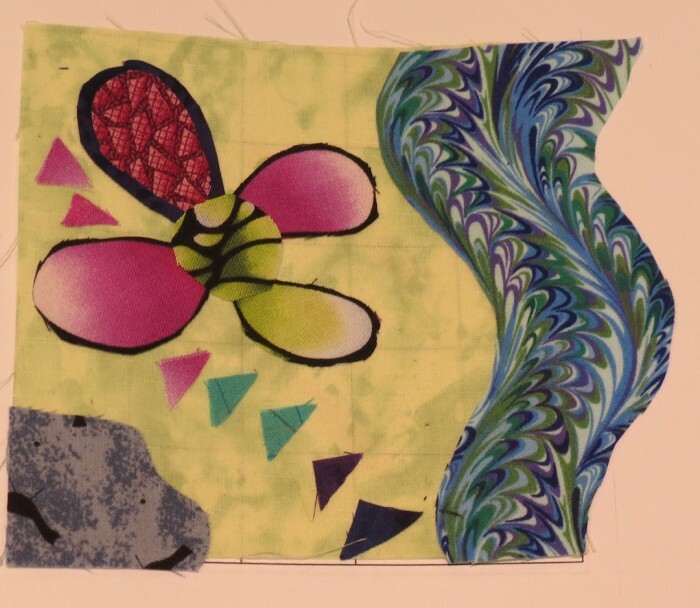 My recent trip to Virginia came about thanks to Diane Kirkhart, who was the program chair for the Quilter’s Unlimited Quilt Guild in the Washington, DC area. 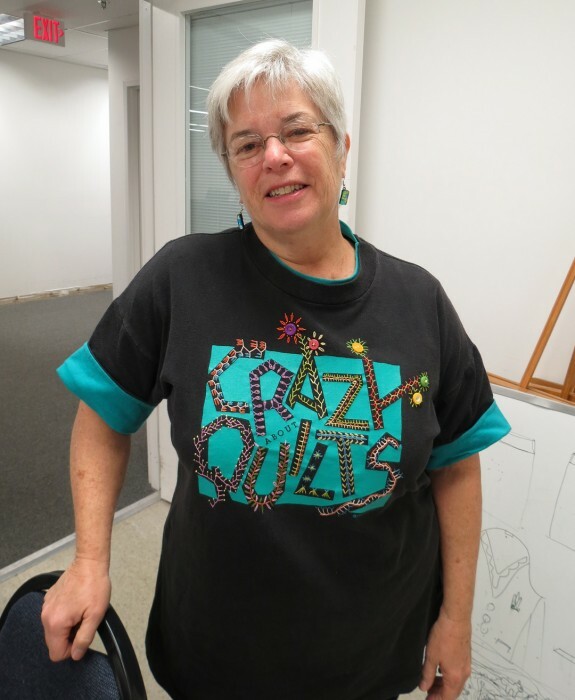 Diane specializes in applique and hand quilting and she also works at the Jinny Beyer studio in Great Falls, VA. 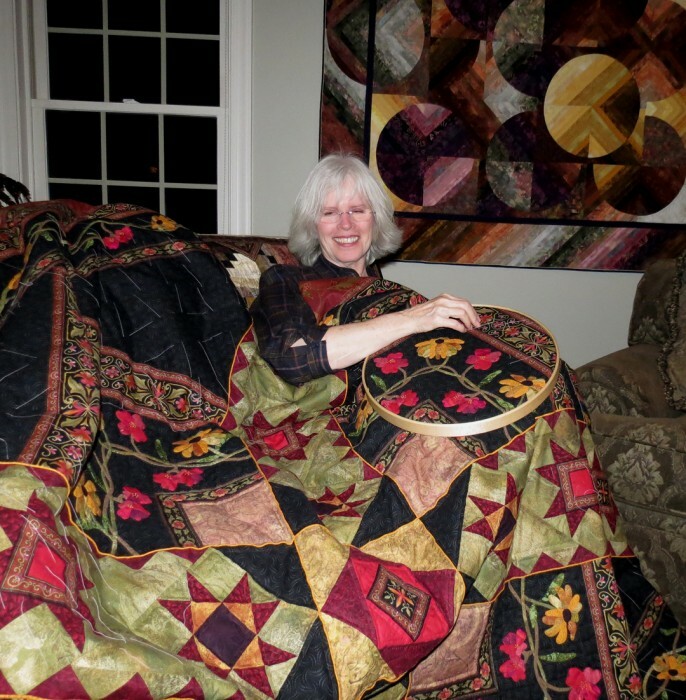 Above, Diane poses with her hand-quilted Summer Lily quilt that she made from one of Jinny’s patterns. 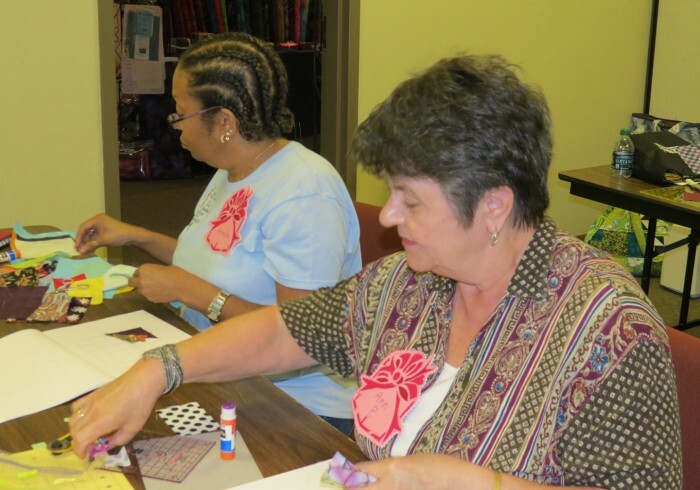 Diane teaches at the Studio where one of her classes, “Back Basted Needle Turn Applique”, is quite popular. 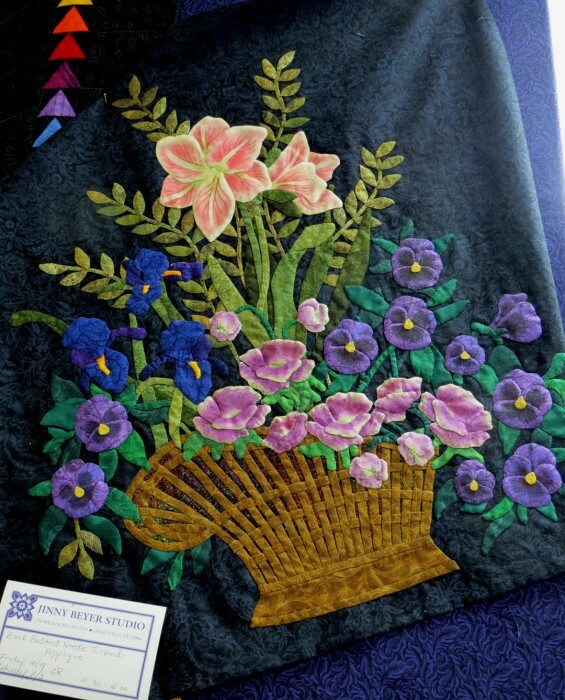 Above the appliqued flowers are enhanced with Tsukineko Inks. The class generally has a waiting list and she teaches this often. Diane with “Midnight Garden”, in progress. Midnight Garden is a dual design by Diane and Jinny. 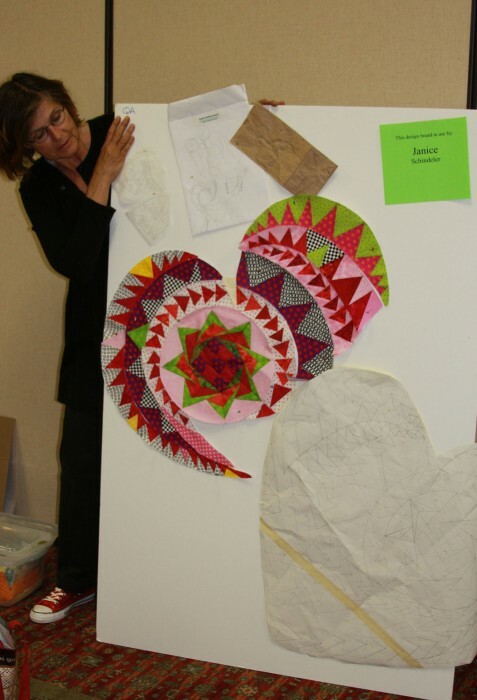 Jinny designed the piecing and Diane designed the applique. Diane hand quilts using a hoop in her lap. 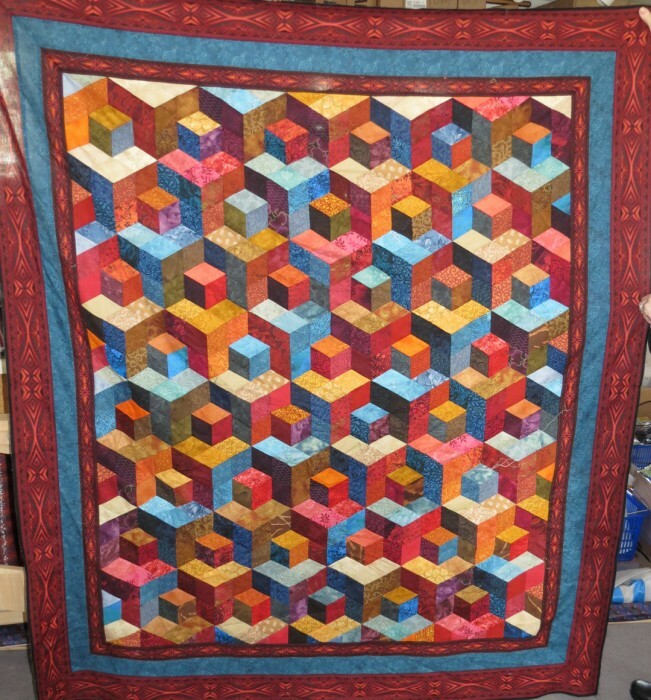 Her quilting is exquisite. 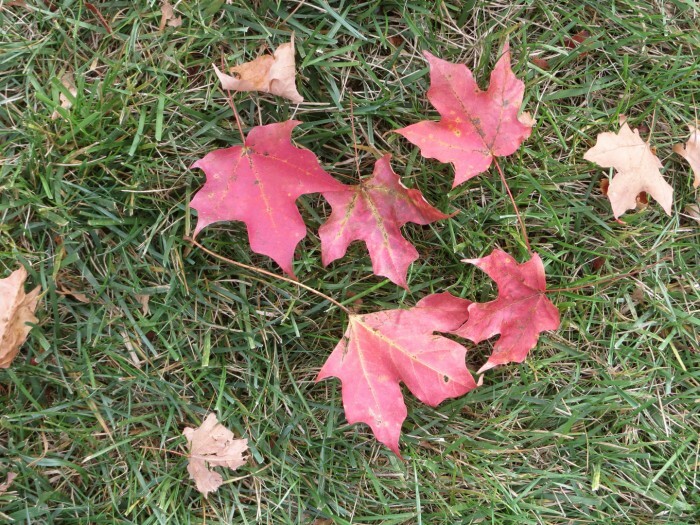 In mid-October, when I visited, the leaves were turning brilliant shades of golden and scarlet. I enjoyed my visit with Diane, her husband Kenny, mom Bonnie, and her friend Betty Osweiler. It was a full and fun house, so much so that even the wildlife came by to visit. 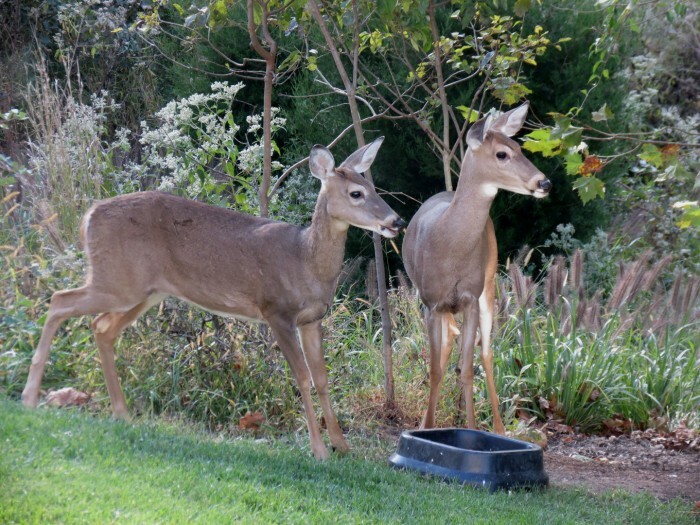 Mom and baby white-tailed deer stopped by for dinner! The protected woods behind Diane’s place are home to several deer. What a treat! 1 comment - Add your comment! Check out this cool T-shirt! 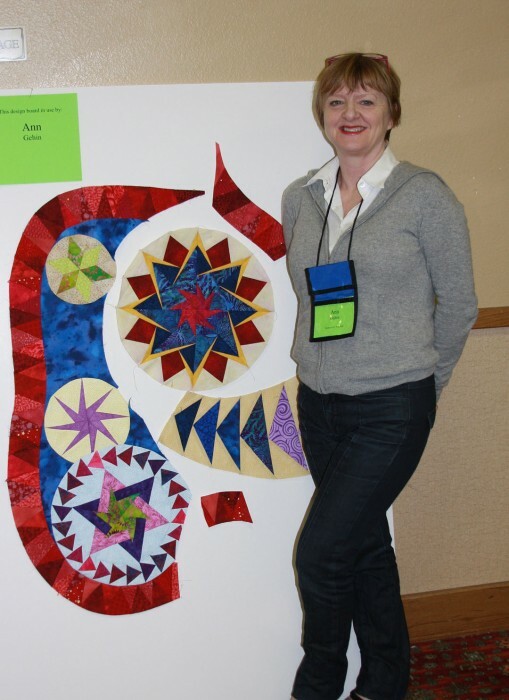 Kath Heslep, who was in my Goose is Loose class for Quilter’s Unlimited that I taught the second weekend in October 2012. 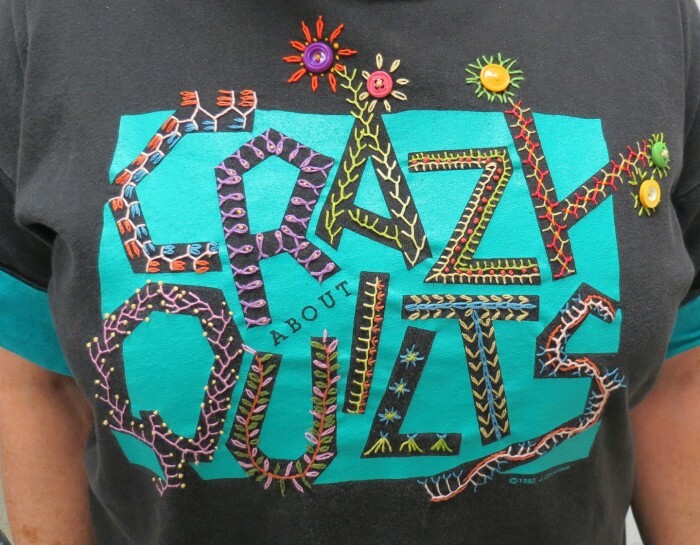 Kath bought the t-shirt, but then spent the 10-hour drive to the AQS show in Paducah hand embroidering the spaces between the pattern. I love the detail! Great design, Kath! 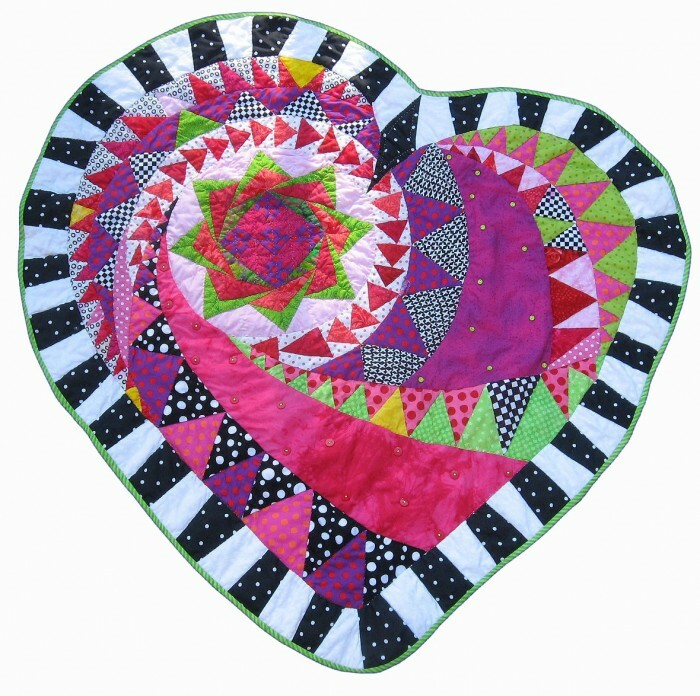 Quilters are so creative! My good friend, Donna Barnitz, came over for dinner a couple of nights ago. Donna often designs for the magazine, Altered Couture. 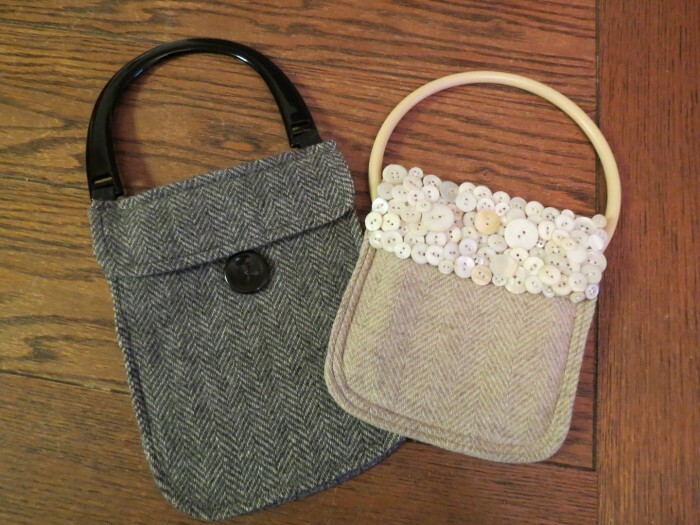 This night, she showed off these two little pocket purses that she designed. 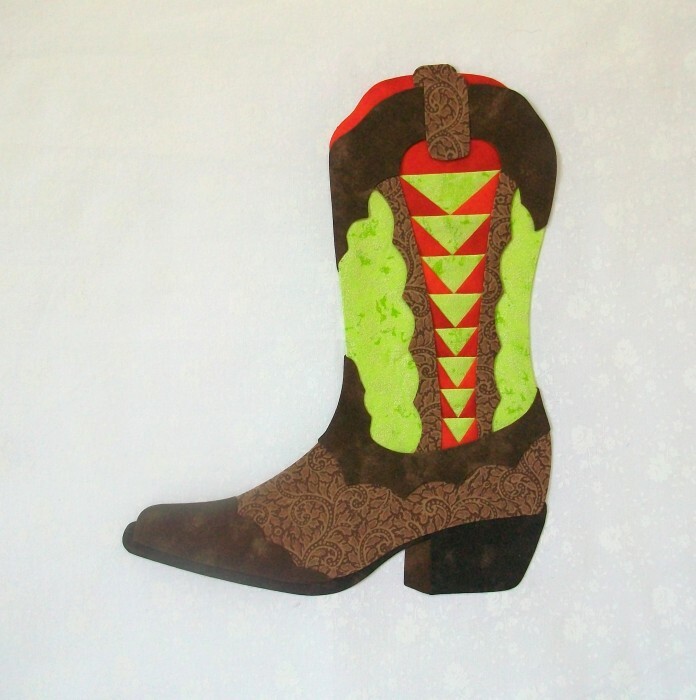 Each was made from the pockets of wool suit jackets that she had rescued from a thrift store. I always love her creativity and enthusiasm. 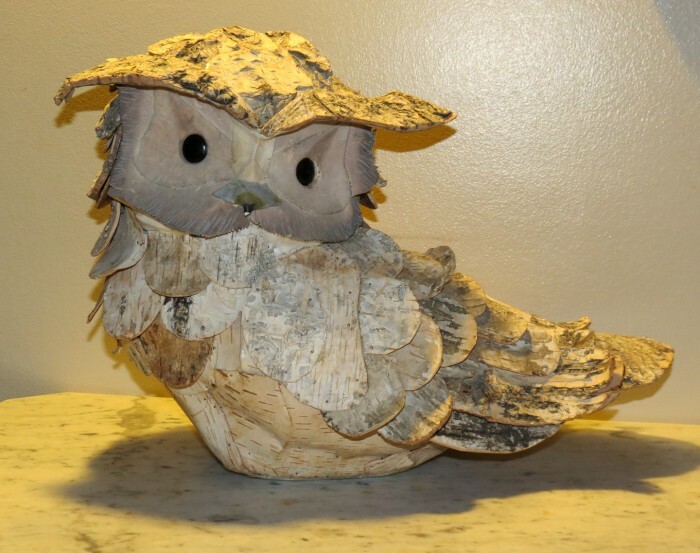 This little owl welcomed visitors to the retreat center where Picking Up the Pieces (PUPS) quilt guild held their 2012 annual retreat. I was fortunate to be one of the teachers. 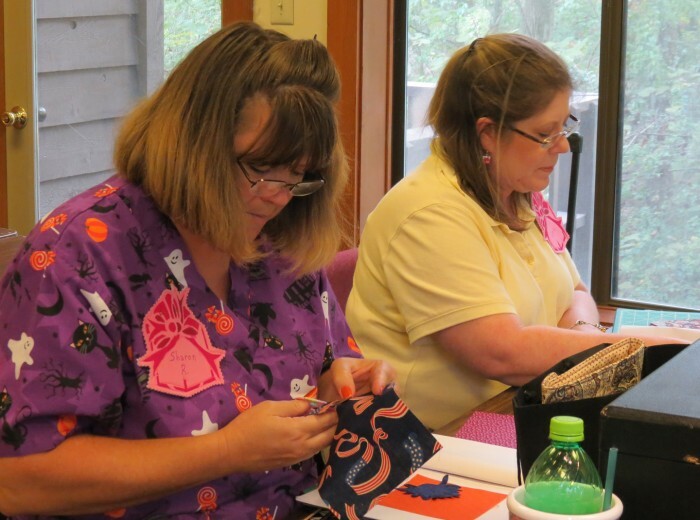 In the quiet woods of Tennessee, not far from Memphis, about 45 of us gathered for a fun weekend of sewing and learning. 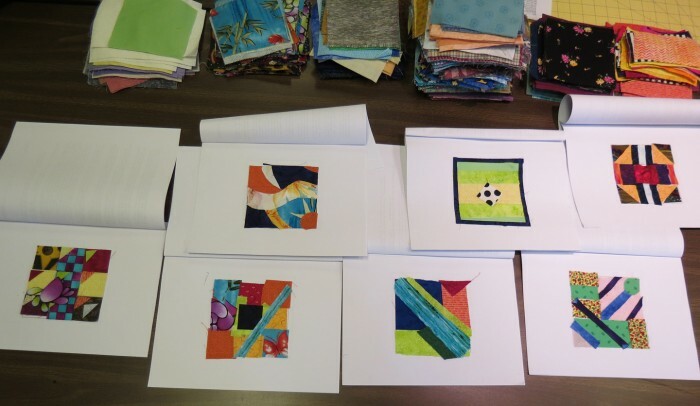 I taught the half day class, Color and Contrast in Quilting, the afternoon I arrived. This class stretches students through a series of exercises. Above are images from the first class exercise. The difference in the designs over the course of 3 hours is dramatic. In this class, everything is provided in the kit, including the little scissors, so students can just show up with no supplies. Students concentrate as each exercise builds on the last. In the end, the final designs are really interesting! Below are some of the final designs. This was a really creative design! One of the great things about this class is that students never leave with a UFO! And, hopefully, they view creativity a little differently after they leave class. I also taught the Goose is Loose class the following day, but I didn’t get and photos on that day!